On Friday, August 10 & Saturday, August 11, there will be pre-show entertainment provided by the Lyon College Jazz Band, light Moroccan/American fare served in the auditorium, giveaways, and more. Attendees are encouraged to dress in 1940s attire from the movies’ era. 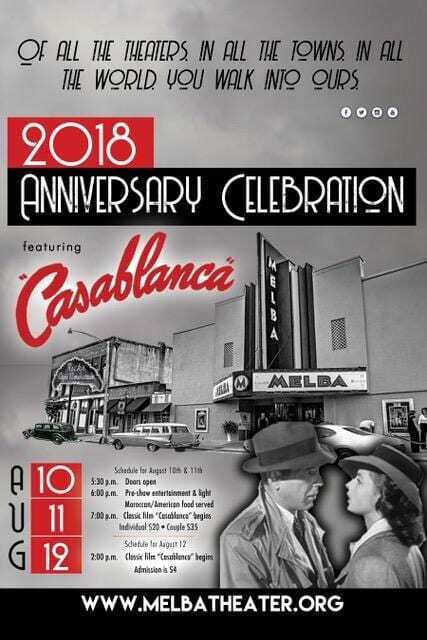 Doors will open at 5:30 p.m., entertainment will begin at 6:00 p.m., and the movie will start at 7:00 p.m. Tickets to the August 10-11 events are $20 each or $35 per couple. Seating is general admission. 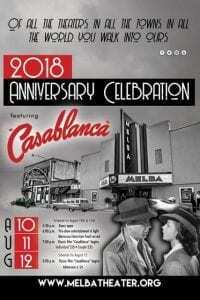 On Sunday, August 12 the movie “Casablanca” will begin at 2:00 p.m. with the regular admission price of $4 per person. In 2016, the historic Melba Theater reopened after an extensive renovation. Two local couples, Adam and Mandi Curtwright and Joe and Janelle Shell, purchased the theater in 2014 and restored the theater as close as possible to the original architecture. Tickets are available for purchase at the Melba Theater ticket box or online at www.melbatheater.org. 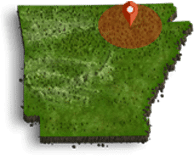 The Melba Theater is located at 115 West Main Street in Batesville, Ark. in the historic downtown district.